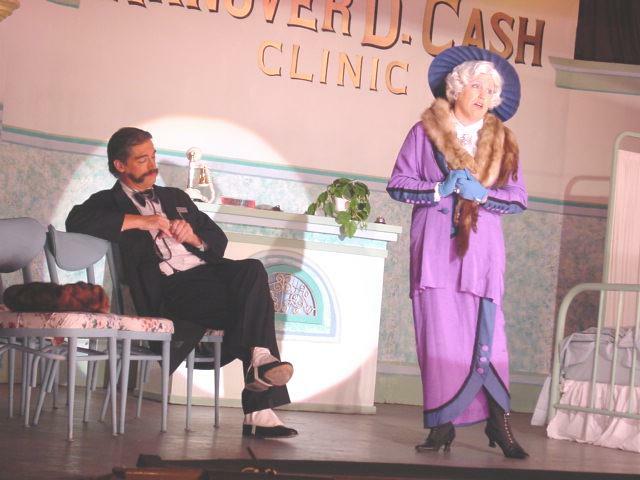 Dogsbreath Devereaux, M.D., plots to wed and do away with the wealthy widow Lotta Cash so he can inherit her fortune and her late husband’s clinic. He enlists the aid of the nasty nurse, Hilda Hatchet, and promises to marry her once he disposes of Lotta. 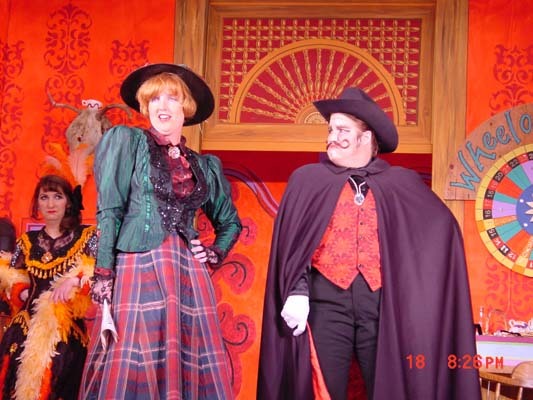 Problems arise with the insanely jealous Hilda catches Dogsbreath flirting with Wendy March, the heroine of our show. It seems only our hero, Dr. Phil Good, can save Wendy and the unsuspecting Lotta Cash from certain death. 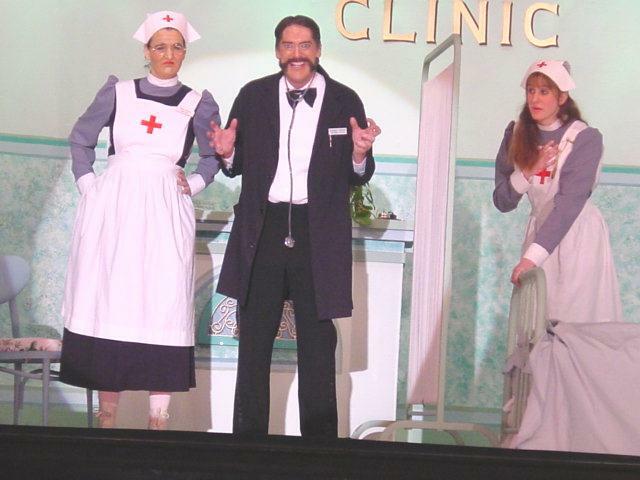 Set in a clinic filled with zany patients, this melodrama is sure to leave your audience in stitches. It was a hilariously unique melodrama, and the signed bedpan I received from my cast and crew as a director’s gift still hangs on my classroom wall!